The first thing you want to do when you start out playing guitar is learn how to read a chord diagram (and buying a guitar). 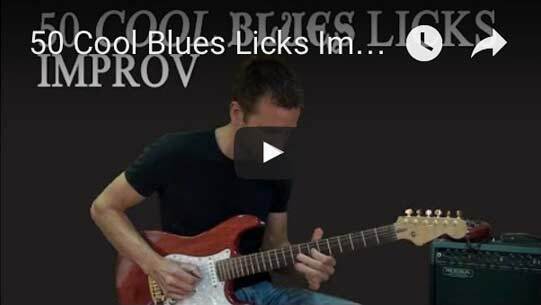 Knowing how to read a chord diagram or other types of chord notations is pretty much essential when you want to learn pop, rock, blues or any other style of music. When you go out and buy a guitar book, most books will show the chord diagrams for the appropriate song, but you will also find them on the web, in music notation software and apps. In the beginning you will only have to acquire a small chord vocabulary to get you playing lots of songs. So let’s get this baby rolling! There are different types of chord notation. We’ll start with the most traditional and accurate one. The chord diagram represent the neck of the guitar (see image below). The horizontal top line (which is thicker than the lower horizontal lines) indicates the nut of the guitar. The second horizontal line is the 1st fret, followed by the 2nd, 3rd, 4th and 5th fret. The black dots show you where to press down the string with your left hand fingers. The numbers on the dots indicate which finger to use. The “x” and “o” above the guitar nut, indicate a mute (x) and open string (o). An “x” means that you “mute” or don’t play that particular string. An “o” means that you do play that string. You play the string open. In the example above a C major chord is played. 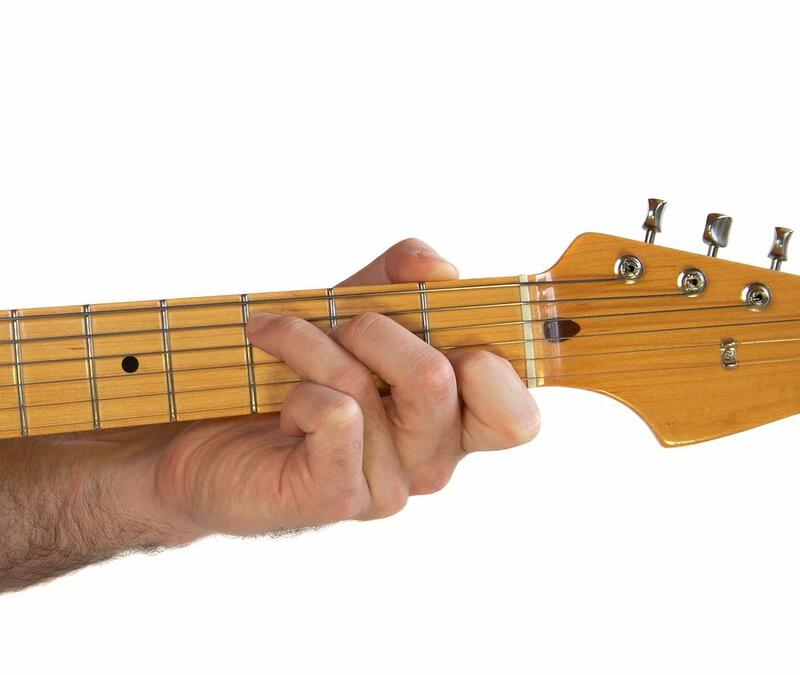 Press down your first finger (index finger) on the B-string (2nd string), 1st fret (place your finger just behind the first fret, don’t touch the fret). (just behind the second fret). The Low E-string (6th string) is not played or muted. The G string (3rd string) and high E-string (1st string) are played open. No fingers are pressing down on the string here. 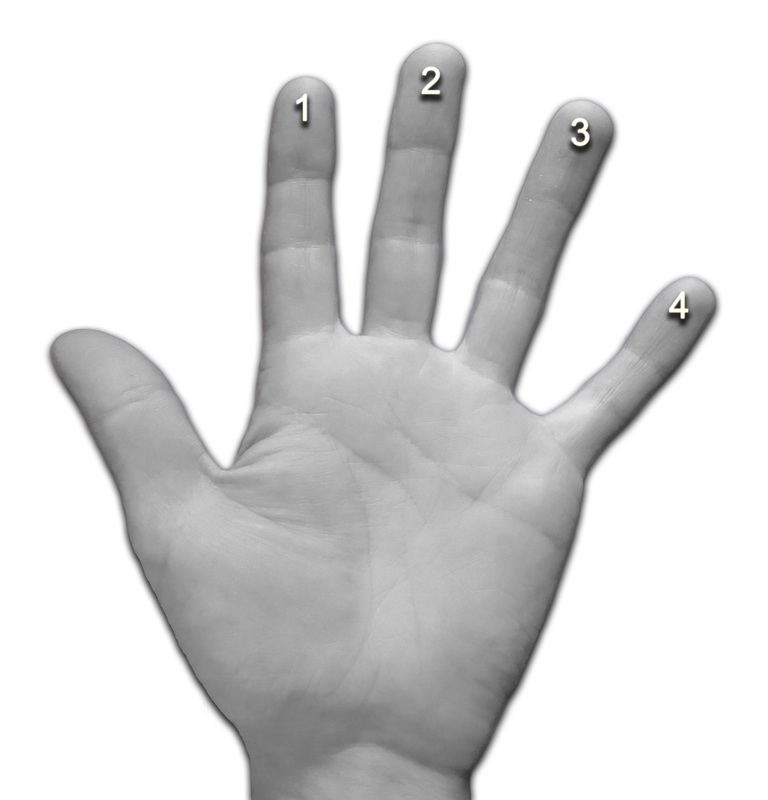 Now strum with your right hand all five strings simultaneously (6th string is not played). Voila! What you see is actually the frets you need to press. Reading from left to right you start with the Low E-string, A-string, D-string, G-string, B-string and high E-string. And there’s chord notation in Tablature. Also called TAB. Have fun expanding your chord vocabulary! Pliz….. That’s not sufficient ! 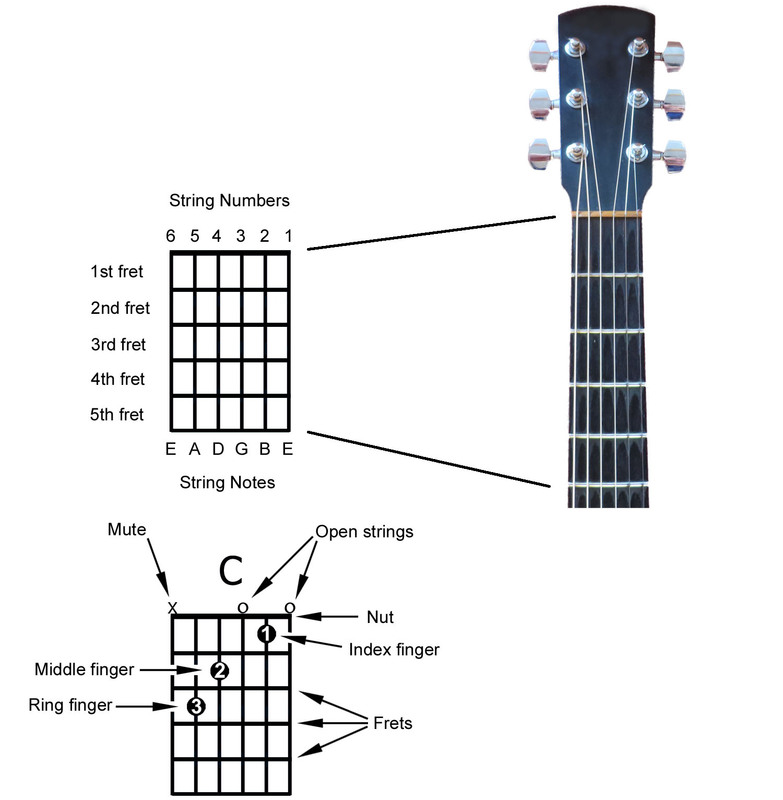 I need More Explainations on reading guitar tablature diagrams…. can you pliz help ? Every beginner must read this guide. Very informative to start with the guitars. hi, i am a guiter leaner thanks for great lessons you gave to me. I can only play A D E chord and D G A chord and GDA… my fingers can not press hard enough to play F and C…what can I do about that?? Use a capo? ?